Across this site, we have referenced people - maybe owners of the mansion, prominent people in the local area, or famous people who might have lived in Charmandean over the years. We appreciate this might not be of interest to everyone, but we wanted to share our research to record it in a separate page. Included in this are many articles on how Charmandean Estate featured prominently in the local area, supporting the people and local events. Where possible, we have done this in chronological order, and incorporated additional information where known. 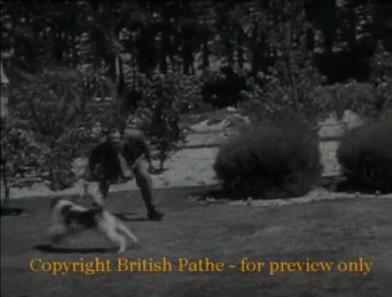 To see the Arthur Askey Video, scroll down the page to the Arthur Askey section. 1871-1898 - owned by Mr & Mrs George Wedd, a London Stockbroker. Purchase price, £10,000. 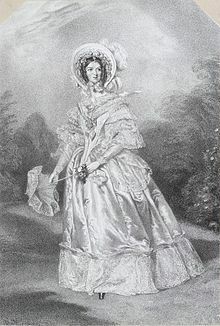 Mrs Thwaytes (also spelt Thwaites) was one of the most prominent figures in Charmandean`s history, as she not only added much to the house, but also the local community. As there is much mention of her already across the site, it is best left to leave to a few snippets. Mr Thwaytes died in 1834, leaving his estate to his wife. Over the years, she donated money to the local community and many articles exist about her generosity. Mrs Thwaytes died in 1866. 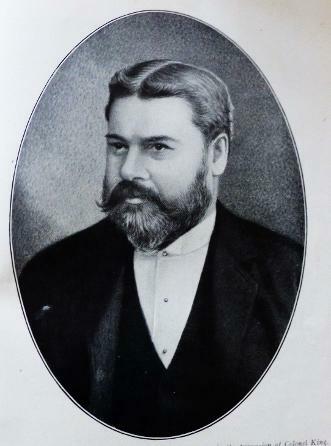 Mr George Wedd, in c.1873, purchased Charman dean for £10,000. He died on 30th October 1898. Situated some two miles distant from Worthing, many of those who journeyed to the locale chosen did so by means of conveyances running at frequent intervals from the Town Hall. Upon arriving at the western entrance to the grounds the first sign of decoration visible was the word 'Welcome' arched over the gateway; and, with this invitation staring us in the face, we entered the grounds. A more picturesque and charming spot for such a gathering could not possibly be conceived. The park and grounds, some seventy acres in extent, situated upon the slope of the South downs, are encircled by a fence of well-grown forest trees, in which are some capital specimens of maple, elm, oak, larch, beech, and a large variety of conifers. 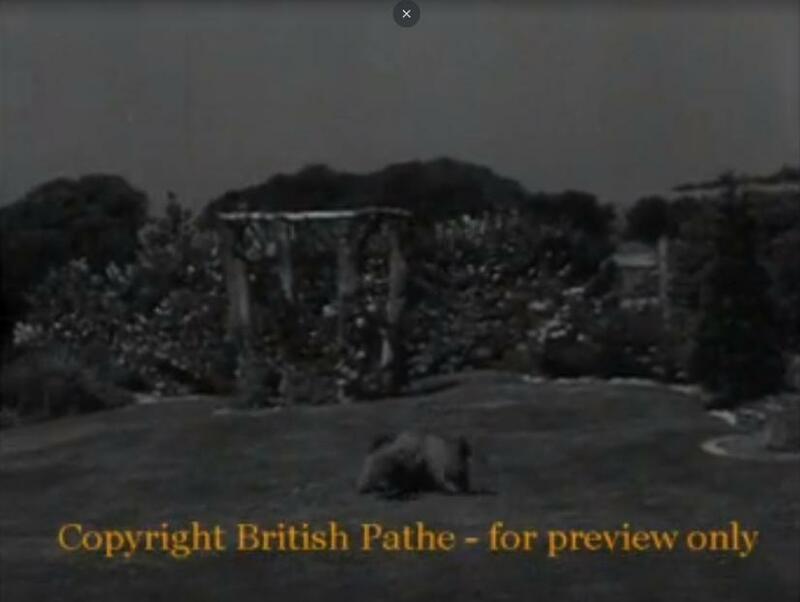 The well-kept park is on a gently undulating ascent until the house is reached. Immediately in front of the mansion are the handsomely-arranged parterre and tennis lawn, from which a splendid landscape view away to the south is obtained. Whilst [the music] was in progress we proceeded to explore the many floral and arboeous beauties with which the place abounds. Taking first a peep into the spacious conservatory, we found the walls lined with several varieties of begonias, all in beautiful health and blooming most lovely to the height of at least eight feet. In the nave of the conservatory were a couple of splendid orange trees, and in the centre a fine specimen of Dracena, about nine feet high, whilst in the front was a collection of Achimenes and Tydes full of bloom. In the centire of the house was a large plant of Ficius elastica, about 12 feet high, around the stem of which was a beautiful plant in full bloom of Hibiscus, and several palms and ferns of the Pteris loniflora tribe. The whole length of the house on the sunny side was very nicely arranged with foliage plants of every tint and shade interspersed with ferms, giving it a very pleasing appearance. Leaving the conservatory, we walked down the well-mown pleasure ground, were we came upon a block of flower beds, a gorgeous sight of bloom, and consisting of many thousands of plants tastefully arranged, and edged with a beautiful dark blue lobelia, iresines. Turning back to the rear of the house, we came upon a herbaceous border, some 100 yards long, arranged with great taste and skill. At the eastern and of the house is a picturesque piece of undulating ground, in which are some choice specimens of Portugal Laurels. Proceeding thence to the kitchen garden of probably some three acres, we found everything looking well for the time of the year, there being apparently a good crop of apples, plums and pears. The conservatory and grounds generally reflect the highest possible credit upon the gardener, Mr Kilsby. 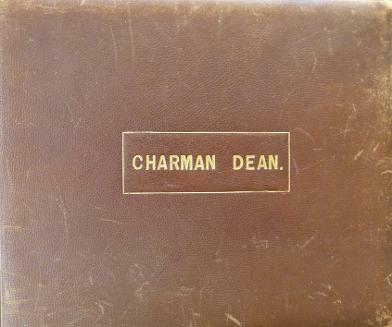 We have been contacted by the great-great niece of Mr Alfred King, who has kindly shared Charmandean memorabilia with us, including a leather-bound photo album with fantastic photos from her great-great Uncle`s ownership of Charman Dean. Thank you so much for showing us and allowing us to share on the site. Mr Alfred King was the third son of Isaac and Martha King, born in London on 1st May 1841. He was educated at the City of London school, and became a builder. On August 6th 1878, he married at St. Matthew`s, Brixton, Fanny Louisa Browning, then 17 years of age. Like his two elder brothers, he was a very successful businessman, and was greatly influenced in his career by the methods of his cousin, Charles Bryant. 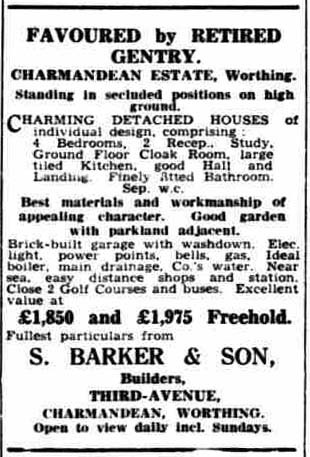 Mr Alfred King purchased Charmandean 11th July 1900. A conveyance at the time describes him from 'Finsbury Square in the coy of London', and he purchased Charman Dean after caring for his brother Edwin King, until his brother's death in 1895. He died 16th May 1913 at Charman Dean, and requested that he was buried as close to his brother as possible, hence was buried in Highgate Cemetery, but then on 26th November 1913, his widow died, being laid to rest beside him. Being childless, which was a bitter blow for him, under the instructions of his will, he left a fortune of nearly £100,000 to Guy's Hospital. It was purchased by Mr William Ellis, from 'The Woodlands, Reigate, in the Coy of Surrey', on 26th March 1915, for £7,000 before being sold to Mr Thomas Dyer Edwards, 31st October 1917. It is mentioned of Charman dean having stables, coach houses, vineries, hothouses, observatory, farm yards, and pleasure grounds. The Rev. T. Dyer-Edwards was the last private resident of Charmandean House, died in Naples in 1926. He purchased it for £10,000. It was his testators, his grandson, the Hon. Malcolm George Dyer Edwardes Leslie (commonly Lord Leslie), and others, who sold the lower part of the estate in 1927 to Sandell & Sons for building of the Avenues. To this this point in the timeline, Charmandean was mainly a private residence, before being home to a number of private schools. When development started in 1929, and the first residents moved in, many more stories about the people of Charmandean are available, and the ones of interest are shared here. We have included some of these, not just for Charmandean interest, but also for other historians or family members who are researching their relatives and their lives. 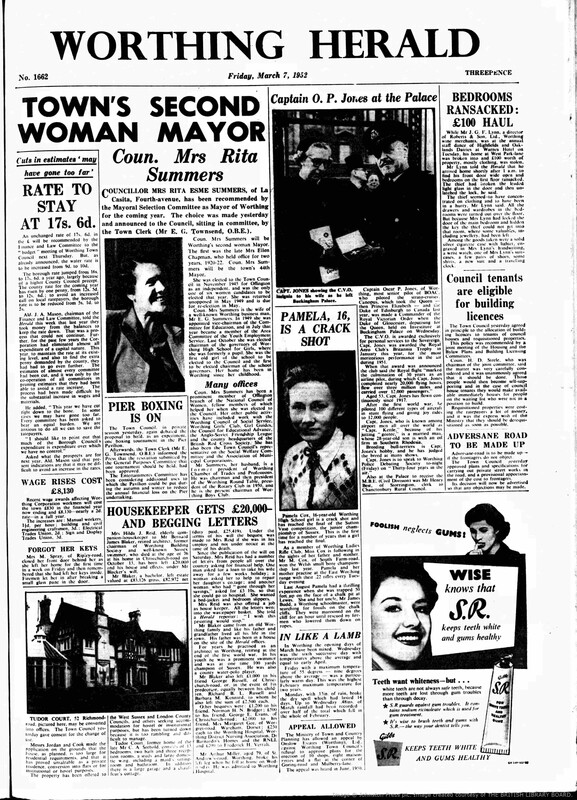 From an article in the Worthing Gazette, March 1952, 'Mrs Summers lives with her husband, Mr E. G. Summers, at Fourth Avenue, Charmandean, in a white Spanish-style house she designed herself in 1936, after a visit to Spain that year. More articles about Mrs Summers are found in the 'news' page. 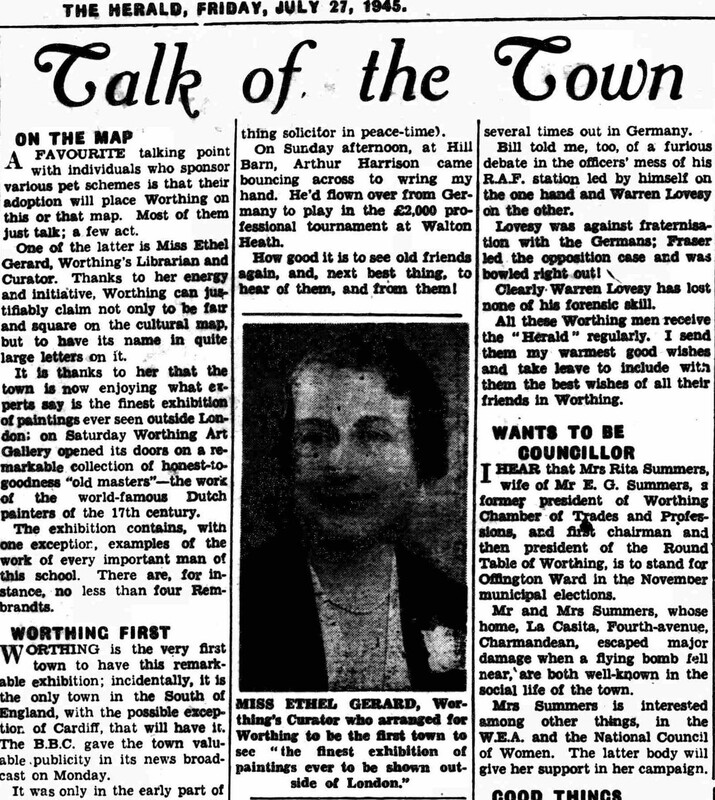 Miss R. M. Watts deserves a place in the 'people of Charmandean' page as she not only was the hon secretary for the Bible Flower Mission, but also was died due to the flying bomb which landed on Charmandean. She lived in Fourth Avenue, and in her role for the mission, they provided lavender bags for those in London hospitals. 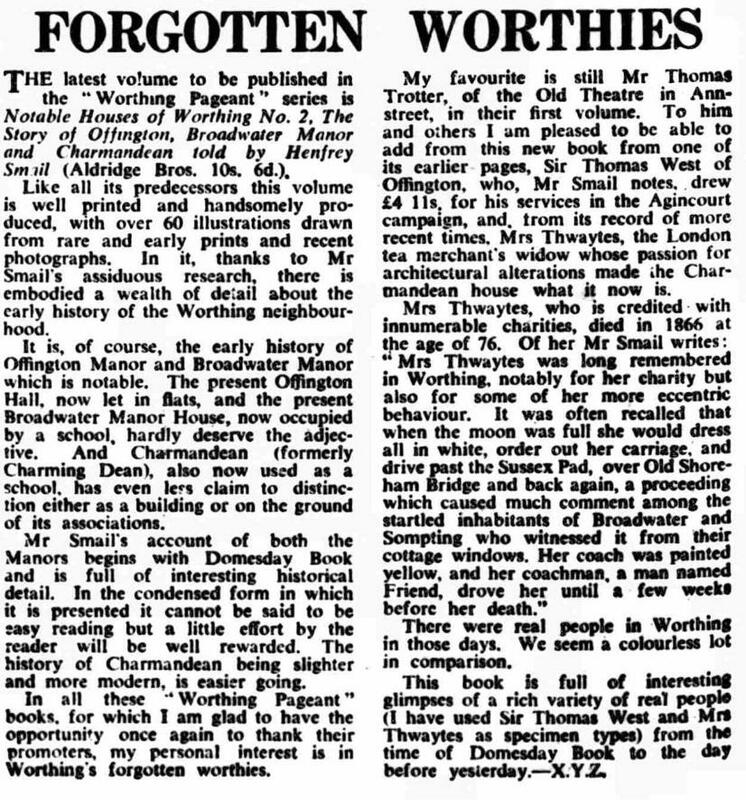 More about her role, and the circumstances which resulted in her death, are mentioned in the 'Development of Charmandean' pages. 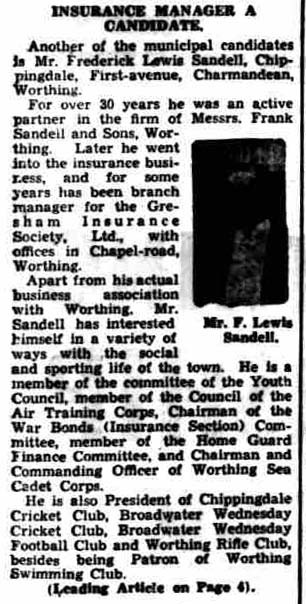 Mr Smail is already mentioned quite rightly in a number of places on this site, as he wrote the book 'Notable Houses of Worthing, No.2, The Story of Offington, Broadwater Manor and Charmandean'. This book is a fantastic reference of material, and all extracts used on this site from the book are noted as such. When this book was written in the 1950's, the Avenues (First, Second, Third, Fourth, and Fifth) were in the process of being developed. However, we must note that Charmandean House was still standing at that time. This website not only references some of his work, but also expands on the time up to the 1950's, but also since hence completing the Charmandean story. Much like the resident who has pulled together this site! It should be noted that any references used from Mr Smail's book, have been referenced as such, and are not direct research of Charmandean History admin. Mr Arthur Askey lived in Charmandean, at a house at the top of First Avenue. 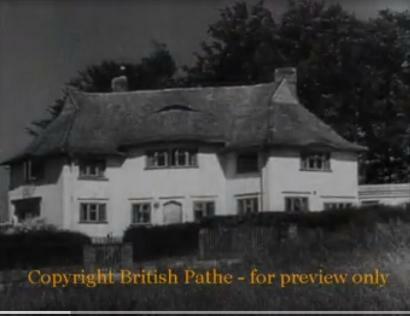 He was a comedian and playwright, but this short film is worthy of mention as it has some great background views from his house at the top of First Avenue looking across Charmandean Estate before Longlands was built, also views of the woods in the field next to his house which weren`t built upon until the 1990's when First Avenue was extended North. 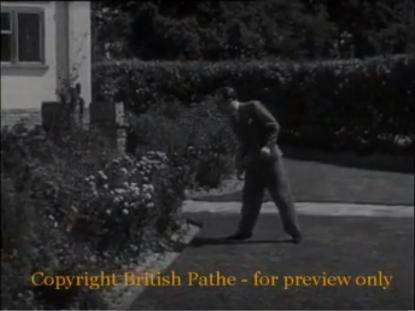 The British Pathe website has a great 1945 film of Arthur Askey which was aired in local cinemas at the time. 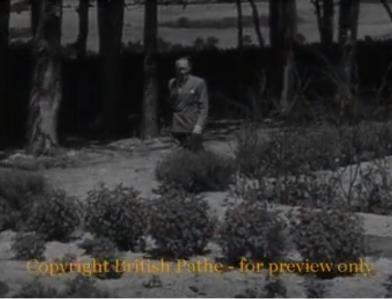 We have included the below stills from the video to set the scene for the reader, but all images copyright owned by www.britishpathe.com. The view in 1945, before Longlands was developed. In the background one can see right across to the trees bordering Charmandean Lane. Amazing the change between 1945 to 2019; this is looking South and the trees bordering Tenants Barn Lane would block this view now! In the background are the trees where the houses are now at the top of First Avenue, built in the early 1990's. Until then, it was a field. The Dunhill family, of cigarettes and clothing fame, lived at one time in Fourth Avenue. 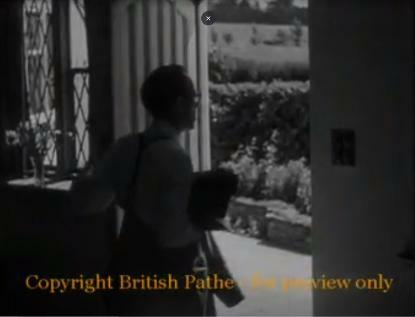 He left his wife and moved to live on the Charmandean estate with his mistress, Vera Mildred Wright, who he married in 1945. 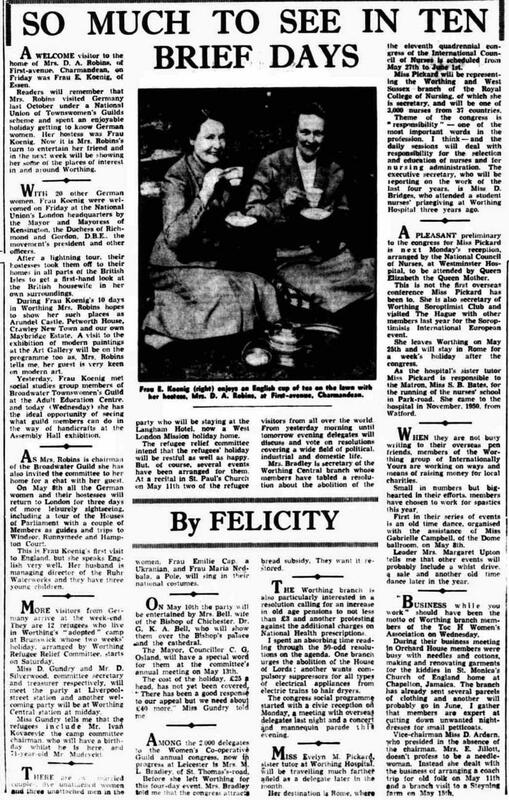 The article is from 11th Feb 1942. Many articles have been found during research for sales, auctions, we have noted this one as it was shortly after the first houses were built on the estate, starting at the bottom of First Avenue, in 1929.